In the late 70’s we were operating a rolling mill in the industrial estate of Thane in Maharashtra. Our manufacturing capacity was 50 tons/day and we were successfully operating at 90% capacity utilization. However due to poor domestic market conditions we had to shut down the unit. India is among the few countries with high reserves of minerals such as Iron Ore, Manganese Ore, Coal, etc., required for Steel making. India is the third largest producer of Iron Ore in the world. Recognizing the need for utilization of these huge reserves, we decided to diversify into the manufacturing business and set up a 1.2 MTPA Pellet Plant in Barbil, Odisha. We are also on the verge of commissioning a 1.8MTPA Beneficiation Plant and a 0.1MTPA Steel Plant. 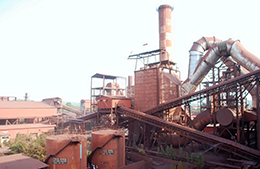 Iron Ore Pellet : Arya Iron & Steel Company Pvt. Ltd. (AISCO)founded in 2004, is operating a 1.2MTPA Iron Ore Pellet Plant in the state of Odisha and was the first merchant Pellet Plant in India. 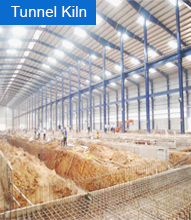 It was also the first Pellet Plant in India to use the Grate-Kiln technology. Steel : AISCO has always looked at new technologies to produce at the lowest cost. It is now setting up a 0.1MTPA Tunnel Kiln plant to produce DRI in the same premises of its Pellet Plant. It further is in the process of finalizing a Steel Melt Shop and a Rolling Mill of similar capacity. Iron Ore Beneficiation : Considering the low availability of high grade Iron Ore Fines, Beneficiation has become the need of the hour. International Minerals Trading Company Pvt. 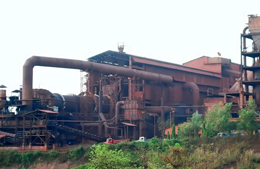 Ltd. (IMTC) has set up a 1.8MTPA Iron Ore Beneficiation in the state of Odisha in order to cater to the Group’s exiting Pellet Plant and other Pellet Plants in the area. The plant is designed to upgrade ore from Fe 57% to Fe 63%.